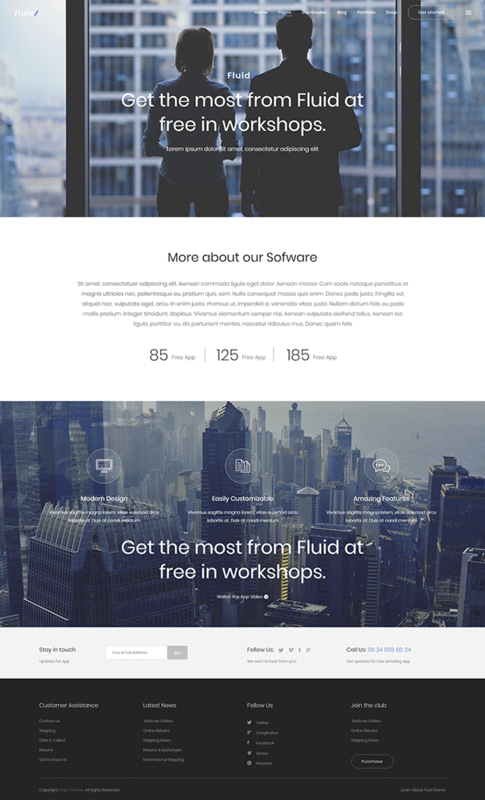 Fluid is a WordPress theme focused on creating websites for your apps, digital business, & startups. With awesome effects and predefined layouts, it is compatible with WooCommerce. Fluid is a perfect solution for all the apps and start-up businesses to set up their websites. It is set up with a responsive layout and stunning visuals. It also comes with various plugins such as page builder and revolution sliders along with the WooCommerce plugin for an E-commerce platform. Additionally, landing pages have been included for your online start-ups. The drag and drop page builder in the WordPress theme for apps, lets you include various elements in your website with ease. The WordPress theme for apps comes with the WooCommerce plugin compatibility. This lets you convert your theme into an E-commerce platform, apt for startups and online businesses. Fluid startup WordPress theme lets you put up the important aspects of your business in attractive sliders and easily manage their settings from the backend. 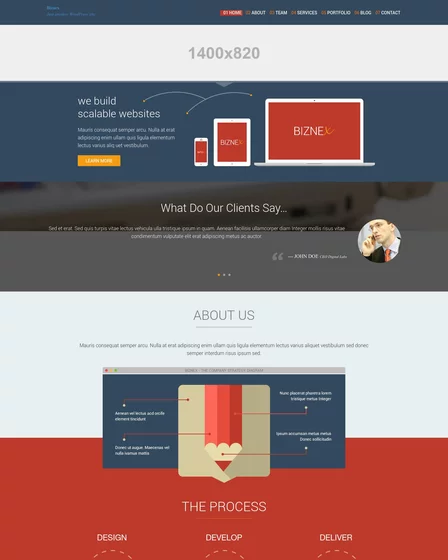 This plugin also lets you feature the testimonial section of your website in a slider format. This contact form plugin in the WordPress theme for apps let you put up contact forms to create landing pages for your website. Thus, it helps to capture more leads which are beneficial for your startup business. The startup WordPress theme lets you create multilingual websites via functionality of the WPML plugin. Therefore, people from all around the world can easily access your website. Fluid WordPress theme for apps comes with 9 customizable and modern homepages. These pages come with different elements designed for tech companies, digital studios, app agencies and many more. 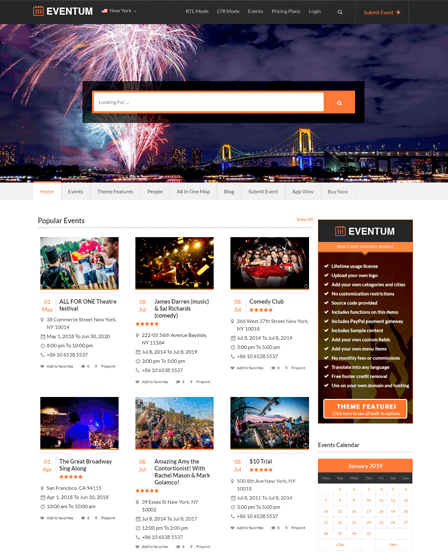 The theme comes with multiple blogs and single post layouts. This lets you present your blogs in a different number of columns with sidebars. Additionally, you can also include various post formats such as video, audio, image, and others to your blogs. You can display your projects, services, and accomplishments in the portfolio section of the startup WordPress theme. 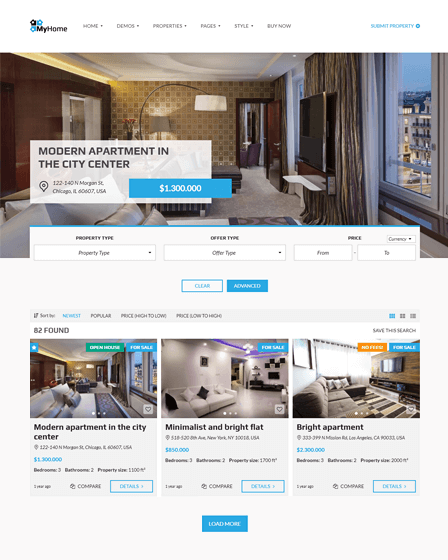 It comes with various layout options such as gallery, masonry and single layouts induced with a different number of columns for each. Moreover, it also lets you add various animation effects to the portfolio content and lightboxes for an enhanced view of the images. A large number of shortcodes such as stacked images, scrolling sections, frame sliders, gallery blocks, parallax, pricing tables and many more are included in the startup WordPress theme. These are put up to include multiple elements to your website with a few clicks and thus saving time. A child theme comes along with the startup WordPress theme that lets you make changes to the theme without disrupting the parent theme. Fluid startup WordPress theme comes with multiple widgets such as image slider, Instagram & Twitter feed, and various social icons widget as well. 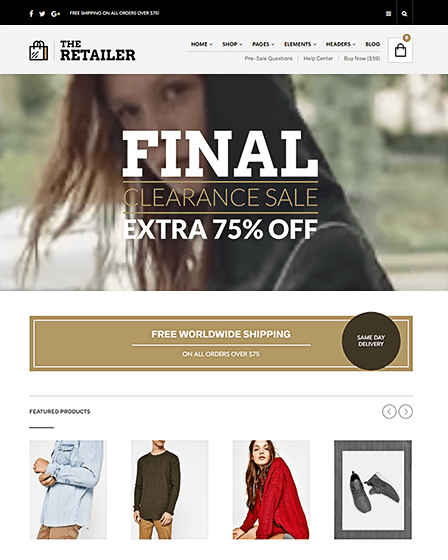 Uniquely, this theme also comes with a WooCommerce drop-down cart widget. The theme also contains multiple widgets for the header and footer section. The header section of the WordPress theme for apps is fully customizable with various header types and behaviors such as sticky or fixed header, a separate logo & styles for the mobile header.